In today's economy, nonprofits have to be grounded in the roots of effective leadership, management and donor relationship development. Long-term fundraising success is not easy, but it is achievable. Bottomline, donor investment is the key to the ability to excel in your mission. PartnersWithNonprofits was originally founded as Funding Resources. Founding principal Jane Jordan, first and foremost, wanted to work directly with clients -- to be "in the trenches" -- adding value to our nonprofit clients and the people and communities they serve. That commitment continues today as we strive to exceed your expectations. Call 904.502.6889 and let's talk or e-mail me now. Why the Dragonfly . . .
Like nonprofit executives everywhere, the dragonfly is in almost constant motion, and is one of the fastest insects in the world. It has two pairs of strong wings that keep this remarkable insect in the air nearly 100% of its life, 360-degree vision and the ability to turn on a dime. Its dominance comes from the fact that its nearly transparent wings must work in total harmony at all times in order for it to fly. And in all of its iterations, it's quite beautiful. DeAnn holds a Bachelor of Science in Marketing and Bachelor of Science in Information Systems from Kansas State University. Jane Jordan has more than 40 years experience in community affairs, fund development, strategic planning, nonprofit organization administration, corporate social responsibility, corporate foundation management and consulting to nonprofits, giving her a unique perspective. Jane founded Jane Jordan & Associates, Inc. d/b/a PartnersWithNonprofits.Org in 1990. The firm has assisted a variety of clients in raising more than $168 million. 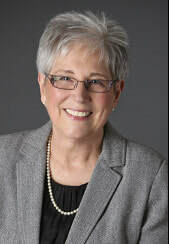 Prior to establishing PartnersWithNonprofits, Jane served as Vice President for Community Affairs for Barnett Bank of Jacksonville (FL), now Bank of America, for 10 years, establishing the bank's corporate foundation and paving the way for the bank to become the leading corporate citizen in Northeast Florida. At the bank, Jane was instrumental in establishing the Jacksonville Ronald McDonald House; initiating Caring for Kids, a program to turn women on welfare into independent childcare providers; Road Works, original fine art on billboards; and many other bank-driven initiatives to meet community needs. The bank received multiple national awards for leadership in the areas of corporate philanthropy, volunteerism and philanthropic leadership. Jane served as Vice President for Development and Director of the Foundation for Healthcare of Baptist Medical Center, Jacksonville, FL. She facilitated the first million dollar gift made to the hospital outside of a capital campaign; the founding of the Wolfson Children's Hospital Bass Tournament and founded the hospital's first targeted physician giving program, about which she spoke at seminars and workshops throughout the Southeastern United States. She conducts numerous seminars and workshops on fundraising, board development, and strategic and fund development planning. Jane is a graduate of the University of Florida School of Journalism, and completed master's-level work in public relations at Syracuse University Newhouse College of Journalism. ​PartnersWithNonprofits.Org is a long-time consulting associate for Lawson Associates, with offices in New York, Nashville, Washington, D.C. and Dallas. Also, I am proud to be affiliated with and a consulting associate for CoreStrategies for Nonprofits, Miami, for over a decade.